Two days after the wife of a traditional ruler, the Alauga of Auga-Akoko, in Akoko North East Local Government Area of Ondo State, Mrs. Olukemi Agunloye, was kidnapped, the abductors have contacted the family to demand N20 million ransom. The victim, alongside her driver, was abducted between Auga-Akoko and Ise-Akoko on Sunday morning while on her way to Ugbe-Akoko in the same local council. The indigenes of Akokoland have expressed dismay at the recurrent spate of crime in the area, especially kidnapping despite many military checkpoints and recent establishment of a Police Area Command in the area. 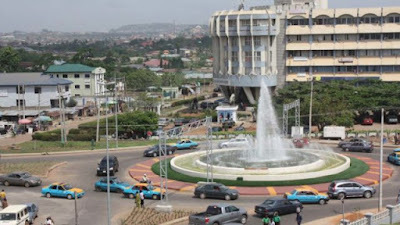 For the record, within a year, more than 12 kidnap cases have been reported in Akokoland, while about 18 of similar cases were recorded in 2016 and 2017. The monarch, Oba Samuel Agunloye, who confirmed the incident, said he was informed by a passerby that saw his abandoned car, which was conveying the victims, by the roadside. Oba Agunloye, who affirmed that negotiation was still ongoing, disclosed that the kidnappers had contacted the family, demanding a sum of N20 million as ransom for the release of his wife and driver. He urged the abductors to handle the victims with utmost care, sense of respect for human life and mercy, while there had been numerous security meetings in the area since the incident happened. The Area Commander in-charge of Akokoland, ACP Razak Rauf, assured the people that the police was on top of the situation, mobilizing more officers to the forest along Auga-Ise-Ugbe-Akoko to rescue the monarch’s wife and driver. The Olubaka of Oka, Oba Yusuf Adeleye, and the Akala of Ikaram, Oba Andrew Momodu, sympathized with the Alauga on behalf of Akoko traditional council of Obas as their subjects have also been praying for the release of the victims.